As often happened with the old guild apprenticeships, David Hardy started his art studies when he was eleven years old. His grandmother, Marion Virginia Randall Randlett, became his first teacher. She had studied with William Merritt Chase during the early days of the Art Students League of New York. Even in her later days, "Mammaw" still fumed her resentment that when she did her anatomy studies, classes were segregated and she was herded into a "ladies’ group"
After three and a half years of continuous studies, Hardy moved to New York. He then enrolled in his grandmother’s alma mater, the Art Students League. At the League, he worked with the great anatomist, Robert Beverly Hale. Frank Mason, his figure painting instructor at the League, introduced him to research and Old Master painting formulations reconstructed by Jacques Maroger, former Head of Restoration, the Louvre Museum, Paris. While in New York, Hardy also studied creative thinking for artists with Jack Potter at the School of Visual Arts. An accomplished draftsman and painter, Hardy has exhibited at the John Pence Gallery in San Francisco. He is included in a highly regarded textbook, "A Guide to Drawing", Fifth Edition, by Daniel M. Mendelowitz and Duane A. Wakeham. This text is used by major college art departments nationally, including, among others, Stanford University. 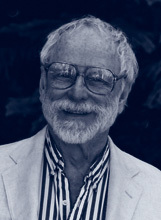 Hardy is also among artists featured in the North Light Publications book, "The Best of Flower Painting", and is listed in "Who’s Who in American Art". He was invited to participate in "The Best of Oil Paintings", issued by Rockport Publications in 1996. His portraits and other paintings are included in major collections nationally and abroad.